On this episode, Annette and guest host Lisa Cvetko share what Pinterest VAs should be pinning in April. They’ll also chat about the latest news including shedding unwanted clutter, spring cleaning, and an exciting new shopping feature. Don’t miss this week’s peculiar pin #Trashtag trash cleanup challenge. And this is why Pinterest is so loved by it’s users. March trends include: Clearing Clutter, Spring Cleaning, Yard Clean Up, Prom, and Fresh Looks for Spring. Check out the article for all the details! World Sleep Day and mindful lifestyle practices—especially alcohol-free drinks (mocktails and juices) and nutrition plans. If you have an e-commerce site, you’ll upload a data source of information. This creates a catalog within Pinterest of products from your website! This not only sends traffic to your site, but it also provides some really great metadata. But wait, there’s more! It will recommend complementary products from your site (instead of other sites). Pinterest is so excited about this new catalog shopping feature that they launched it at Shop Talk, (a huge retailers’ conference). Ben Silberman presented, which you can watch here. 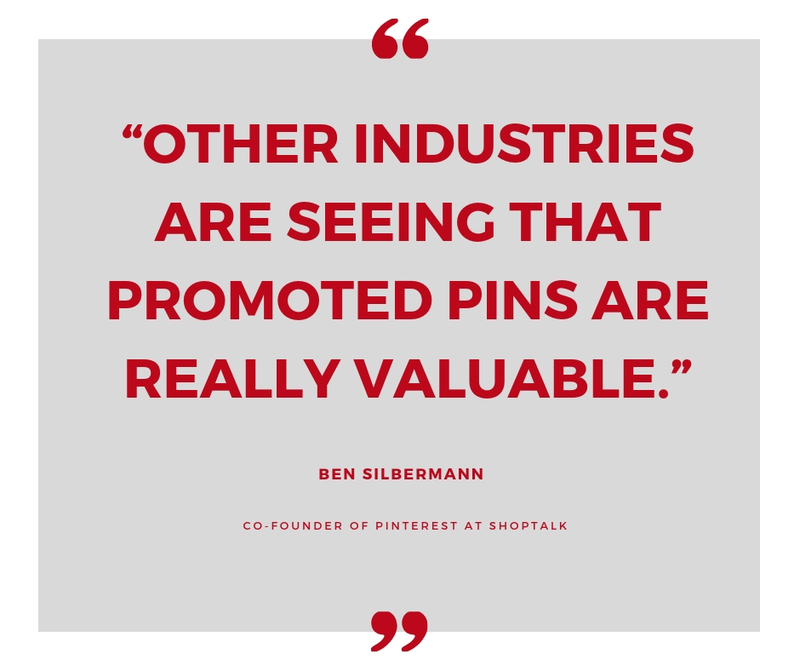 Pinterest is attracting advertisers with low CPMs (which stands for Cost Per Mille, which means cost per thousand). Check out the article for some really interesting case studies of companies and what they're seeing in terms of pinners being really valuable. Remember, you should always look 1.5-2 months out, so right now that means the end of May through June. Most holidays are big on food, so pay special attention to holiday-related recipes as you schedule your content this month! Some of these life moments are on repeat from March, but that’s because they are still relevant for April, so don’t forget them! Eating seasonally and locally is big this year, as well as BBQs (which is always a staple this time of year). Roasted chickpeas are trending, along with foods that require less packaging (which goes along with the sustainability/zero waste trend we’ve been talking about all year). And don’t forget to pin holiday foods! We talked about adventure profiles last month, which are still relevant for travel pinning. Click here for more info about adventure profiles. Be sure to include these travel topics in your April pinning! Prom is huge in March and April as girls look for fashion and accessories. Current fashion trends are straight out of the 80s right now. Some are fun (and some we definitely don’t recommend) but pin them all if this is relevant to your audience. Bespoke attire—personalized items like shoes (with the wedding date on the soles), tux linings, etc. This is the time of year people start planning their gardening activities (from cleanup to actual planting) but don’t overlook spring cleaning for outdoor living spaces! Year-round blooming plant (to have color all season). Some plants are ever-blooming (which typically means they will bloom twice in a season, not necessarily all season long), water-wise plants. Local-scaping—planting things that are local to your specific area (this is in place of xeriscaping, which most people don’t really like). There’s a lot of great content to pin in April, so focus on pinning whatever will best suit your audience!